The charming cover art by Ralph McQuarrie is one of the album’s best and most memorable assets. To celebrate the season this year, we’ve compiled a list of 10 new things-to-know about our favorite holiday album from a galaxy far, far away — things so trivial and esoteric that even the wisest and heartiest of Star Wars fans are likely to be dazzled at the depth of your knowledge! 1. Christmas in the Stars came together very quickly. A September 18, 1980 internal Lucasfilm memo lists several potential concepts for the album; nine days later, Anthony Daniels flew in from London to record his lines as C-3PO at the Power Station studio in New Jersey. 2. Yoda was supposed to make an appearance. Frank Oz, the actor and puppeteer who helped launch Yoda to fame in The Empire Strikes Back, was approached to reprise the voice of the Jedi Master for the album’s “Meaning of Christmas” track. Oz couldn’t participate due to scheduling conflicts, so the album eventually settled on Santa’s son, “S. Claus,” to fill the role (with revised dialog). 3. There were two songs that didn’t make the final cut. According to early memos, there appears to have been at least two songs cut from the line-up: “The First Time Any Droid Ever Saw Snow” and “Help You, I Will” (which was probably written for Yoda). It’s unclear if these were ever performed, although it’s been reported that as many as nine unreleased additional tracks were recorded. 5. The album and its first single were released in 1980. Christmas in the Stars and its first single “What Can You Get a Wookiee for Christmas (When He Already Owns a Comb? )” were released in the US and Canada on November 14, 1980. We only include this item since we haven’t found the specific release date immortalized anywhere on the internet… until now. 6. 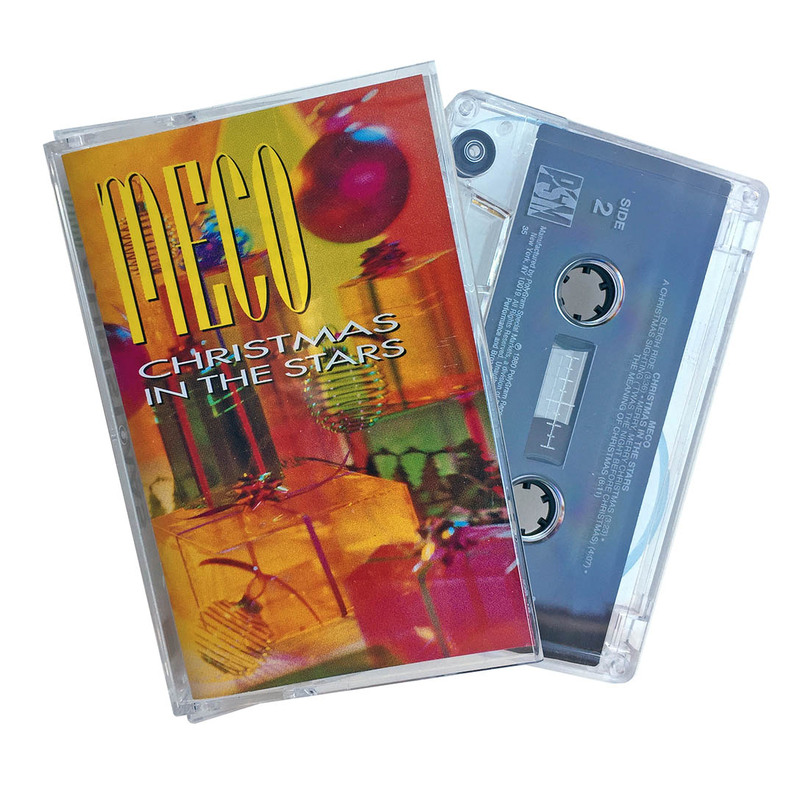 A cassette version of the album has since become a rare find. A cassette version of the album was released on an unusual blister card, probably for display in the record bins of the day or on department store pegs. The carded cassettes are exceedingly rare, as most were (rightly) removed from the package and popped into tape decks. 7. At the time, the album was a Billboard chart hit! According to Billboard, the album peaked at #61 in December, 1980, and remained on their chart for six weeks. 8. Christmas was revisited — twice. 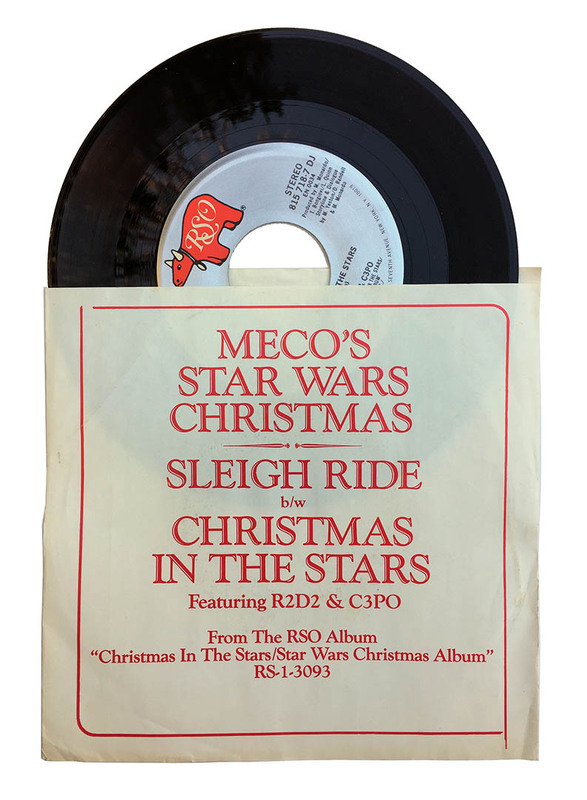 Christmas in the Stars received a brief second wind three years after its 1980 release when a follow-up single, “Sleigh Ride,” and a folio of sheet music were issued in 1983, likely to capitalize on that year’s Return of the Jedi release. Similarly, the album received a second-second wind 13 years later in 1996, when both a CD version of the album as well as a reprint of the sheet music were offered. 9. Another reissue intended to hold on to the name recognition Bon Jovi got. 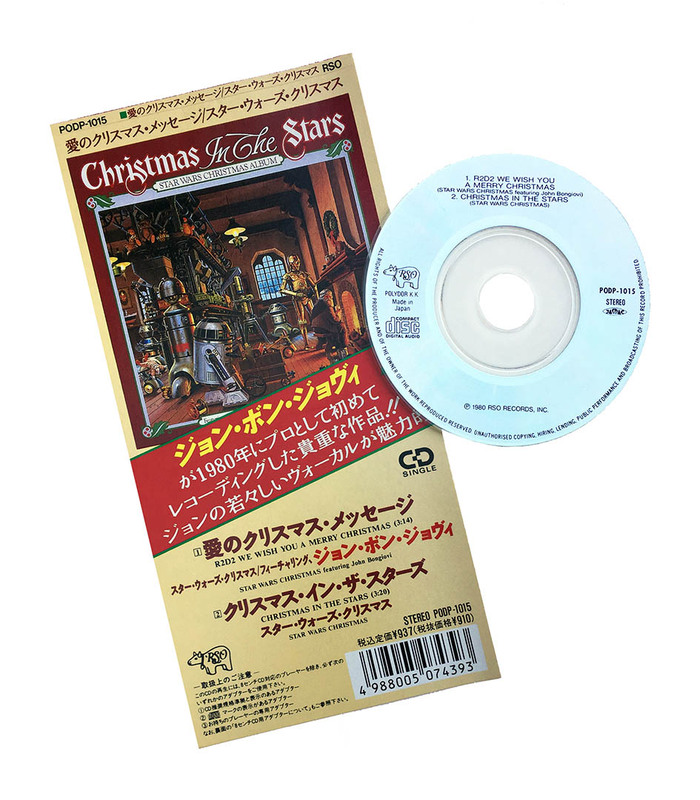 In 1990, Japan released a CD single of “R2-D2 We Wish You a Merry Christmas” with Jon Bon Jovi’s (or rather “John Bongiovi’s”) name boldly headlining the title. The marketing was likely intended to capitalize on Bon Jovi’s stardom following his hit single “Runaway” in 1983 and a smash album in 1986. 10. Christmas looked different in 1994. 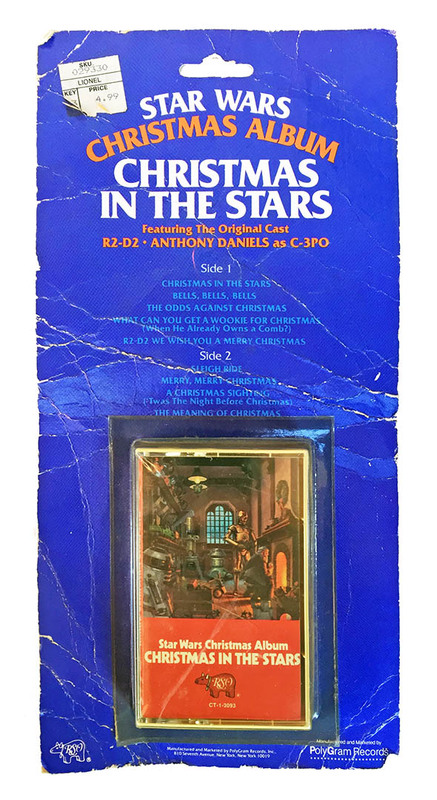 A little-known re-release of Christmas in the Stars was issued on CD and cassette in 1994, but lacked the original album’s iconic McQuarrie artwork. 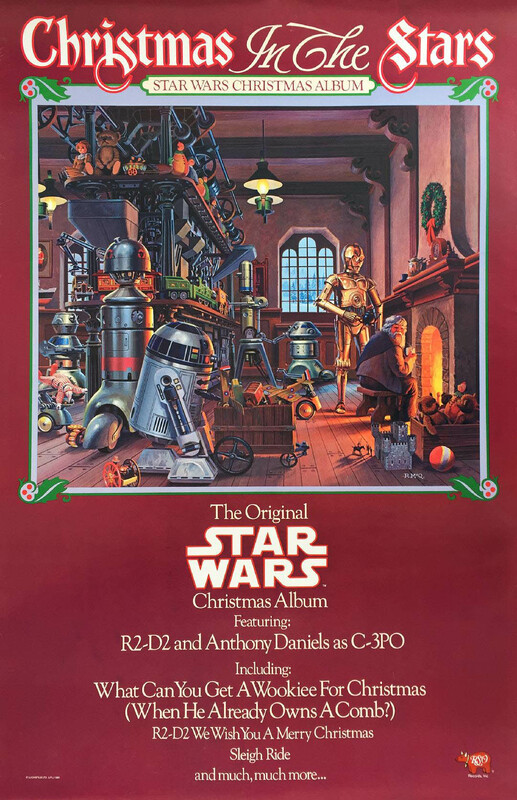 Instead, it featured a generic holiday cover and abbreviated title, offering few clues that it was a Star Wars-themed album. Fortunately, it got a full and fitting reboot (including liner notes!) two years later in 1996 (and again in 2017), for a new generation of fans. Pete Vilmur is currently a writer for Lucasfilm Publicity and worked previously for Lucas Digital Media, where he created content for Lucasfilm’s websites, blogs, and social networks. Pete co-authored two books with Steve Sansweet — The Star Wars Poster Book and The Star Wars Vault — and a third with Ryder Windham, The Complete Vader.